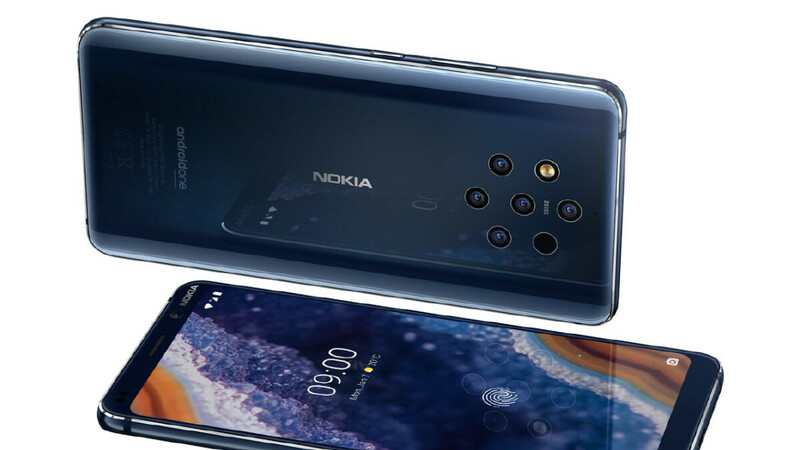 Next Monday, Nokia will take to the stage at MWC to unveil the flagship Nokia 9 PureView, which is finally set to make its debut after months of speculation and a couple of delays. According to one tipster, though, this is only the tip of the iceberg. Joining the Nokia 9 PureView will allegedly be a new mid-range model dubbed the Nokia 4.2. Very little is known about this smartphone at the moment but it should be available in both black and pink. Moreover, if the name is any indication, it should sit between the Nokia 5 series and Nokia 3 series. Speaking of the Nokia 3 series, it’s claimed that a next-gen Nokia 3.2 will make an appearance next week too. The model will replace last year’s Nokia 3.1 and, as a result, should receive an improved processor – the Snapdragon 439 is the most likely candidate. The Nokia 3.2 will allegedly be sold in black and silver. Completing Nokia’s entry-level series should be the Nokia 1 Plus (or Nokia 1.2). As revealed by a previous leak, this phone should offer a 5-inch display paired with an improved MediaTek processor, Android Go Pie Edition, and 1GB of RAM. According to the tipster, it’ll be available in black, blue, and red. Aside from these smartphones, it has been suggested in the past that the next-gen Nokia 6.2 could arrive at MWC 2019 too. This smartphone boasts a hole-in-display design and is rumored to pack Qualcomm’s Snapdragon 632 on the inside. Awesome. HMD is ramping up the number of smartphones they have to attack all price points, much like Huawei, Samsung, LG and other Android OEM's do. Even Google is venturing out into the "below flagship" category because OEM's realize that is where the growth is at. The two Nokia branded smartphones I'm most looking forward to are the Nokia 9 Pureview and the Nokia 6.2. Can't wait until the unveiling! You forgot to mention Sony there too with it's list of smartphones range.Nokia 6.2 is turning to be a disappointment bcoz of SD632 inclusions rather than SD670/675/710/720.only hope is left for me now is Nokia 8.1/8.2 or 7.2 but next year 2020 MWC it will get better if all nokia upper midrange turn out to be a flop this year unlike Nokia 7 plus. I didn't "forget" Sony. They are included in "other". The Nokia 6 range is supposed to have the lesser midrange chipset. The 7 series and 8 series are the ones that have the higher end midrange chipsets. This has been done by design from HMD since the beginning. I am skeptical about nokia 4.2.... No. 4 is considered unlucky in China.. I don't really care about the lesser phones, but I'm wondering what Nokia is going to do to justify that camera setup and the Pureview overall. I think it's pretty obvious what HMD intends to do with the Nokia 9 Pureview, camera setup and all. If it was obvious, then we wouldn't be asking about it. We have no camera samples, no explanation, nothing, but you claim that it's pretty obvious? Lol contradiction alert. There is no “we” asking about what they intend to do with it, just you. We do have a camera sample, so it is pretty obvious. Lmao “no research” alert. That camera sample wasn't explicitly said to have come from the Pureview at the time. Again, contradiction alert. But it was proven to have been from it at the HMD event, just like many other sites alluded to. Again, no research alert.